Synatel is in the ‘throws’ of an investment period, upgrading its manufacturing capability. This has included the purchase of a new surface mount machine. 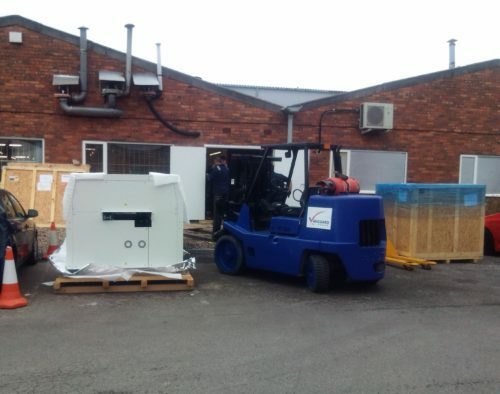 Last time we had a new machine, we ended up taking it through the roof, this time we fitted new double doors to the side of the factory and wheeled the unit in. Easy! See also: Previous machine being delivered.